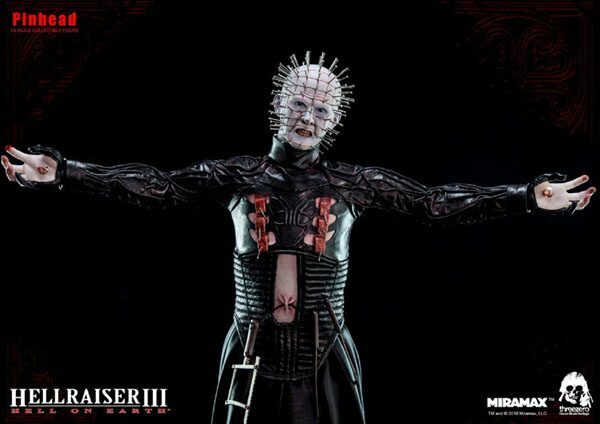 We are excited to announce that 1/6th scale Hellraiser III: Hell on Earth – Pinhead collectible is introducing our Horror Movie Heritage series and will be available for pre-order at www.threezerostore.com for USD 195 / HKD 1520 with Worldwide Shipping included in the price. 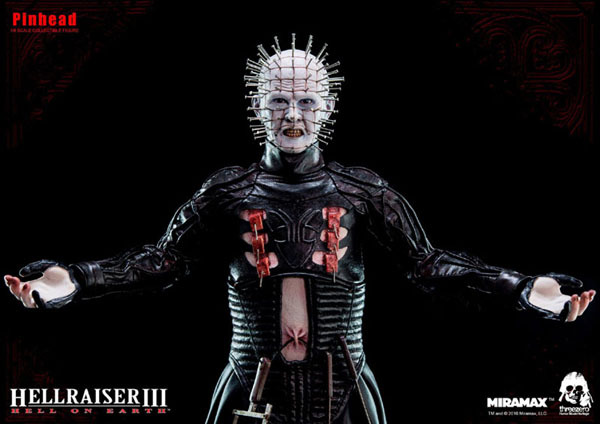 Threezero's Horror Movie Heritage series will see many more icons of the horror film genre developed in the Threezero 1/6th scale style that you know and love! 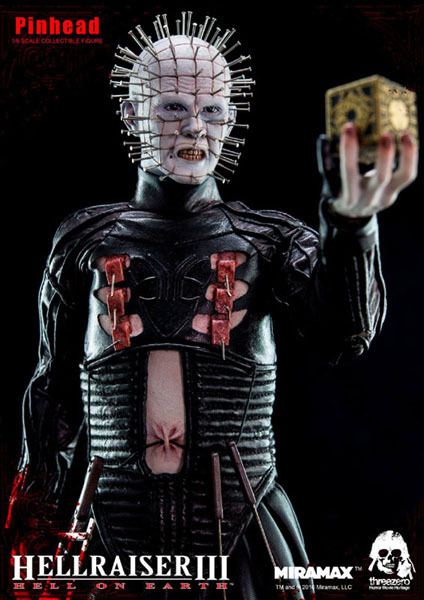 Collectible stands 12 inches / 30.5 cm tall, features head sculpt with metal pins and hooks capturing realistic likeness of Pinhead portrayed in Hellraiser III: Hell on Earth movie; comes with Lemarchand’s Box (known so well to all fans of the series) and interchangeable hands. 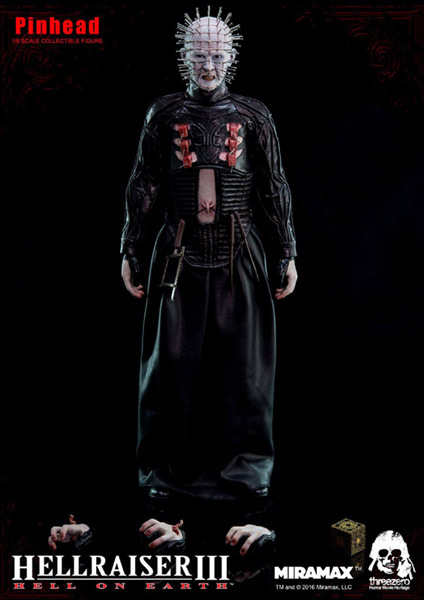 For this release we created an authentic and tailored replica of Cenobite’s striking black costume and of course a set of bladed torture devices and scalpel hanging at Pinhead’s waist. 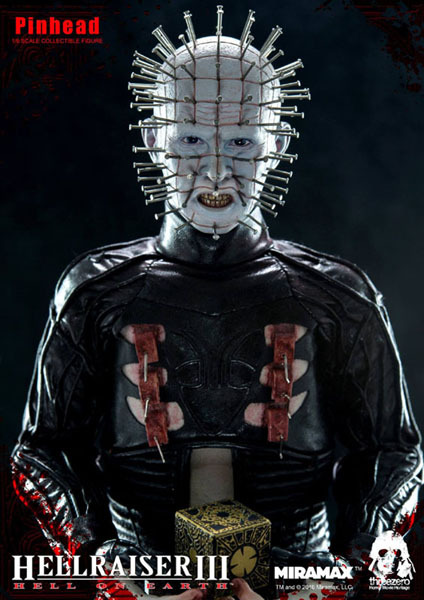 We are excited to announce that 1/6th scale Hellraiser III: Hell on Earth – Pinhead collectible is introducing our Horror Movie Heritage series and will be available for pre-order at www.threezerostore.com for USD 195 / HKD 1520 with Worldwide Shipping included in the price. 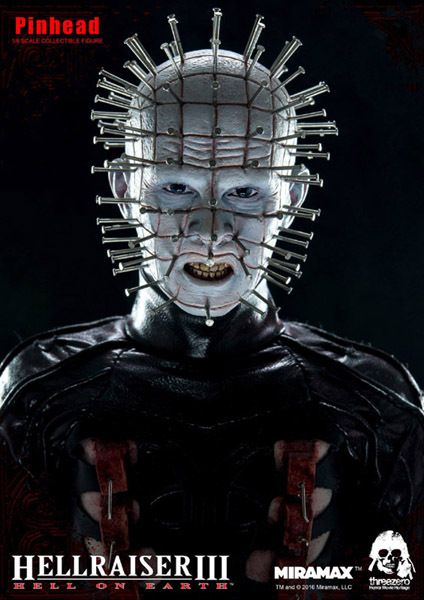 Threezero’s Horror Movie Heritage series will see many more icons of the horror film genre developed in the Threezero 1/6th scale style that you know and love! 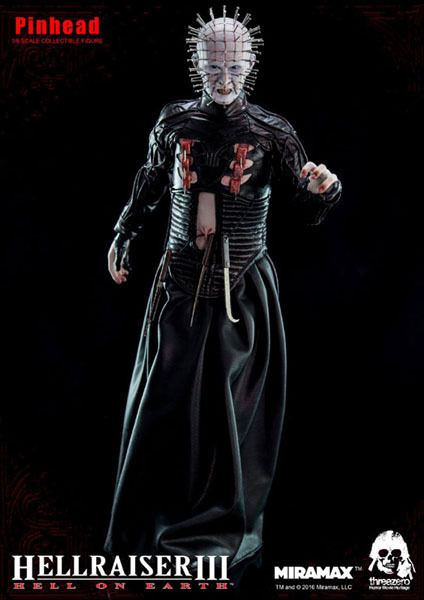 *An authentic, tailored replica of the Cenobite’s striking black costume with delightfully chilling realism, complete with gory hooks and piercings. 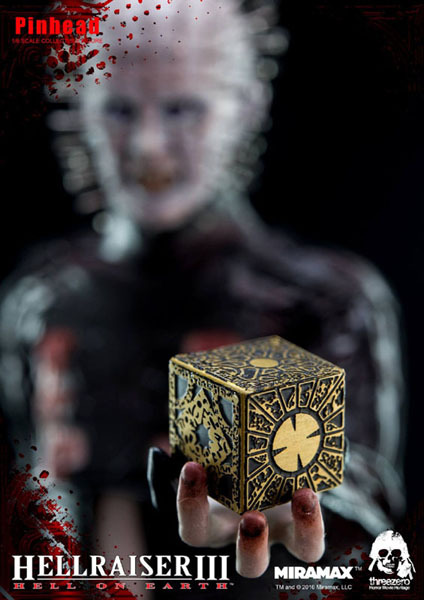 *Comes with Lemarchand’s Box (the Lament Configuration). All unpaid orders would be cancelled after the sale. Orders are not transferable to third parties.